Johan Adolph Rust (1828-1915). Dutch. 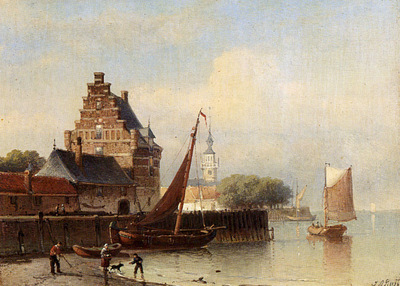 Born in Amsterdam, Dutch artist Johan Rust studied with the master architectural painter Cornelis Springer. He worked mostly in oil for his most accomplished and desirable paintings, but also utilized watercolor and sepia.